A Protected Geographical Indication product. Each rusk is relatively large in size and is typical of the first Cretan rusks that began to be produced decades ago. It is particularly crisp, with a medium-hard texture. 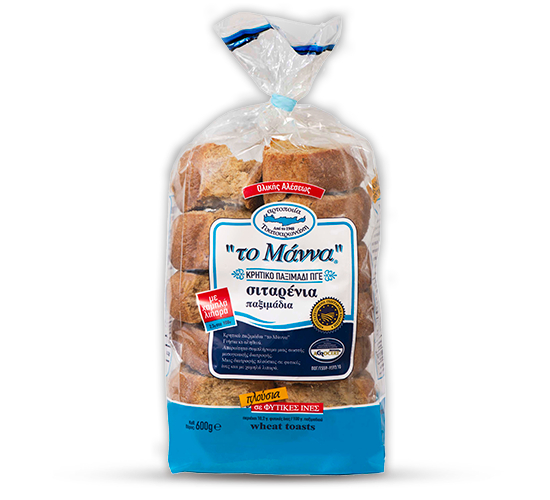 It is made of whole grain flour (60%), which is why it is a product rich in fiber, iron, minerals and trace elements. It is low in fat, while one serving has a lower salt content in proportion to a portion of bread.